Delicious Strawberry cake decorated with creamy flowers on the top. This cake will suit for all age groups and all occasions. Treat your loved ones with our delicious Cake. This simple yet delicious cake is suitable for all occasions such as birthdays, anniversaries, baby showers, retirement, graduation and Mother’s Day and Father’s Day. 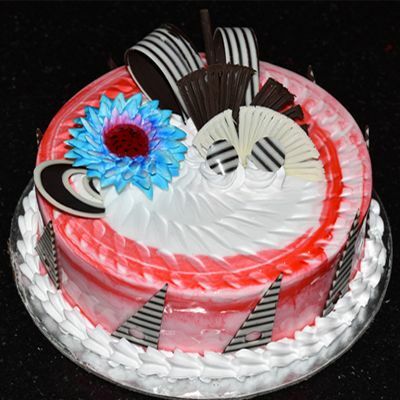 Send cake online and our rich Vanilla Cake will express your sweet loving sentiments on your behalf.